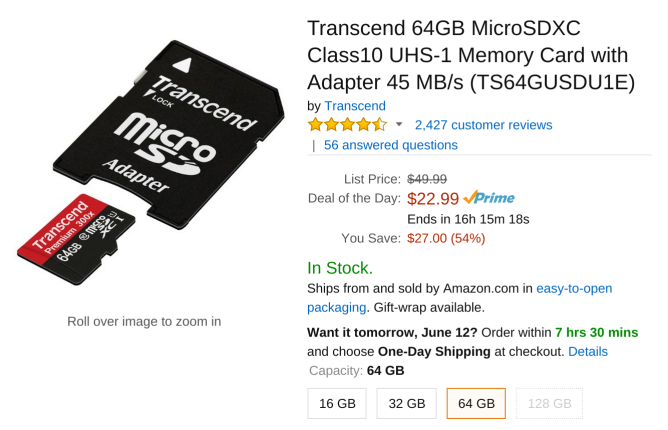 Today you can get a 32GB card for only $12 or one with twice the storage for $23. This is a few dollars less than what SanDisk and PNY are currently charging for the same capacity, and significantly cheaper than Lexar. Both cards offer transfer speeds of 45MB/s and come with adapters. They also ship with Amazon's frustration-free packaging. If your music or photo library won't fit onto something limited to 64GB, check out Lexar's listings for a discounted microSD card offering 128GB. It will cost you $73, but that's not bad for the size. 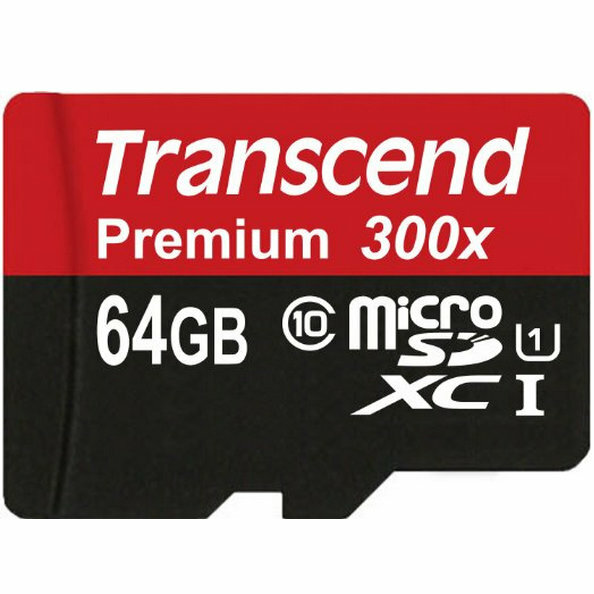 Regular SD cards from Transcend are available too in sizes ranging from 32GB to 128GB. The high end tops out at just $55. You can also get flash sticks and SSD drives for no more than $72. The sale ends in roughly sixteen hours.